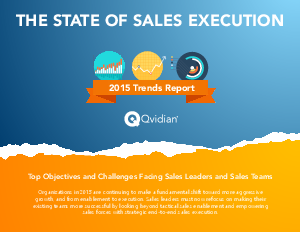 Over the past several years, Qvidian has surveyed hundreds of executives and sales leaders around the world to create a comprehensive ongoing study of the changing objectives and challenges facing sales leaders. Organizations in 2015 are continuing to make a fundamental shift toward more aggressive growth, and from enablement to execution. Sales leaders must now refocus on making their existing teams more successful by looking beyond tactical sales enablement and empowering sales forces with strategic end-to-end sales execution. Get your complimentary copy of the research report now!